About KLR - "Confused and prone to wander"
He was my first motorcycle, and grew into a trusted companion. I did my best to treat him well, and, in exchange, he took me places. 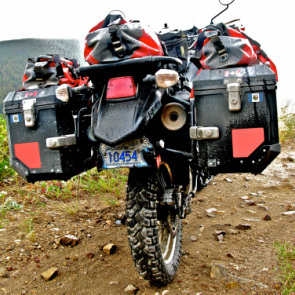 "Kill'r" is a 2009 Kawasaki KLR650 dual-sport motorcycle. He is the lucky recipient of numerous upgrades and customizations from his stock configuration. Below is a list of what makes him unique. I frequently lust over more expensive and larger bikes, but truthfully have no sincere interest in riding anything else right now. 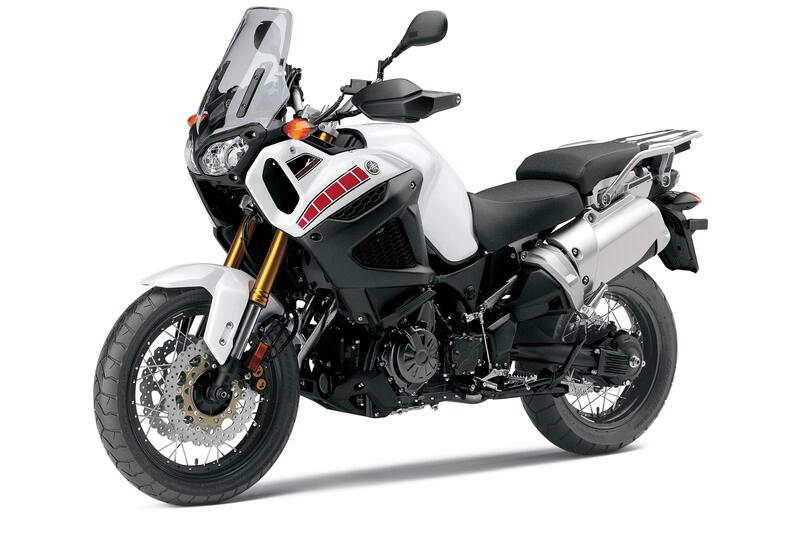 One of the appeals of the KLR is that its sticker price is (literally) half that of many bikes in the same class. This makes it a great starting platform for individual customization, leaving the difference in cost to be put towards specific modifications suiting the individual rider and intended usage. Worth every sneer! Kill'r's upgrades are primarily focused on improving reliability and rider comfort for medium- to long-distance touring on roads ranging from paved secondary highways to Jeep trails. I've made few performance-related mods... at the end of the day, this is a 37 horsepower two-wheeled tractor, and attempts to make it either fast or quick are misplaced. I travel with a fairly extensive kit of tools and spare parts, owing to my living in a remote area and desire to be prepared when exploring even more remote areas. 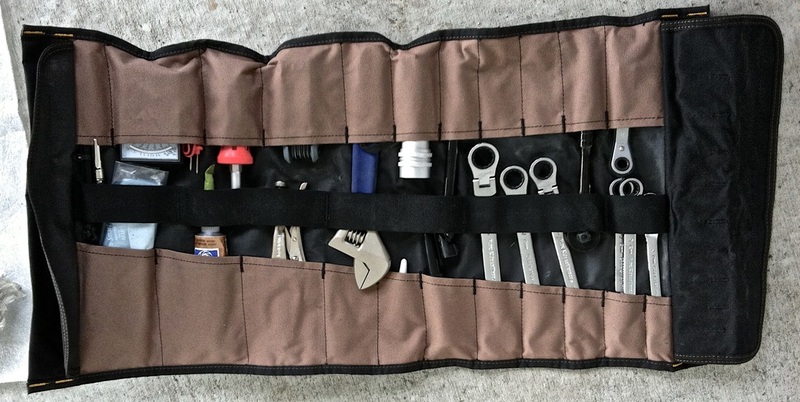 My tools and spares are carried variously between my tail bag, tool tube, tank bag, and panniers.